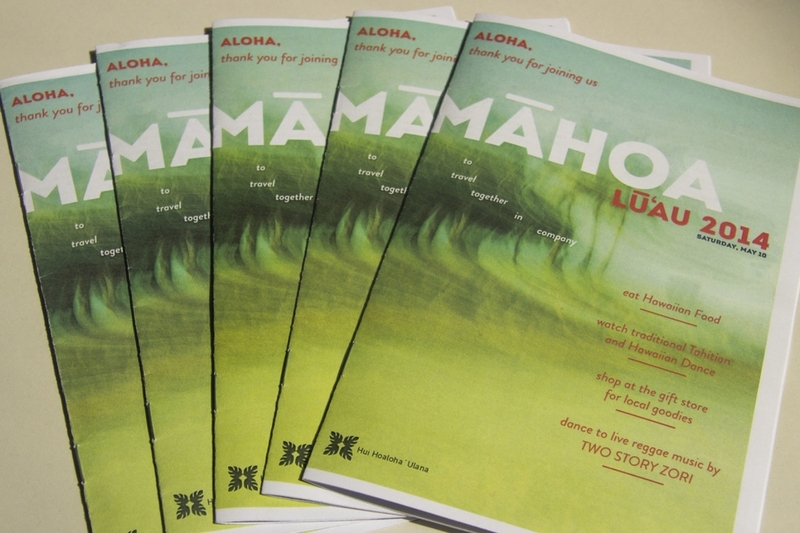 Print collateral for the University of Washington's Hawai'i Club annual Lū'au. 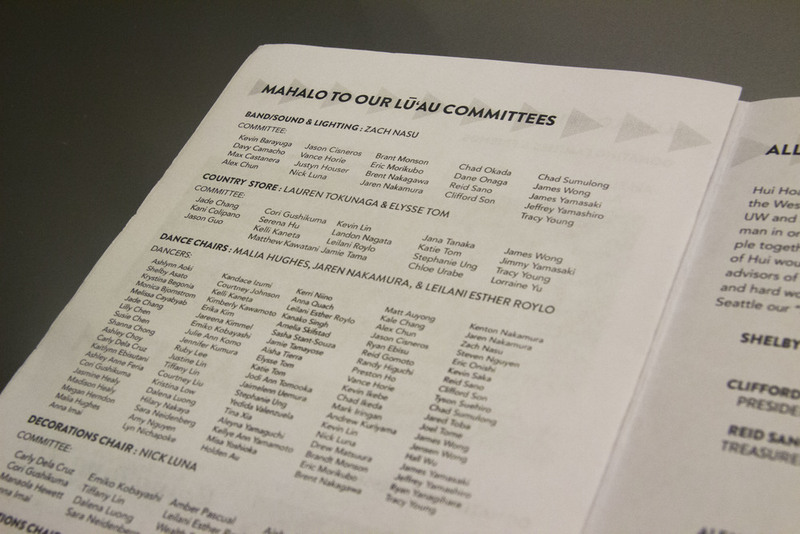 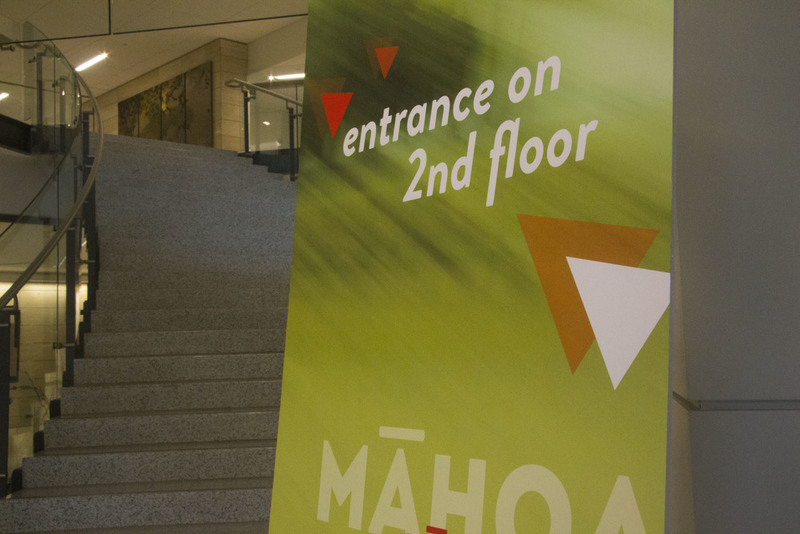 Māhoa: To travel together in company. 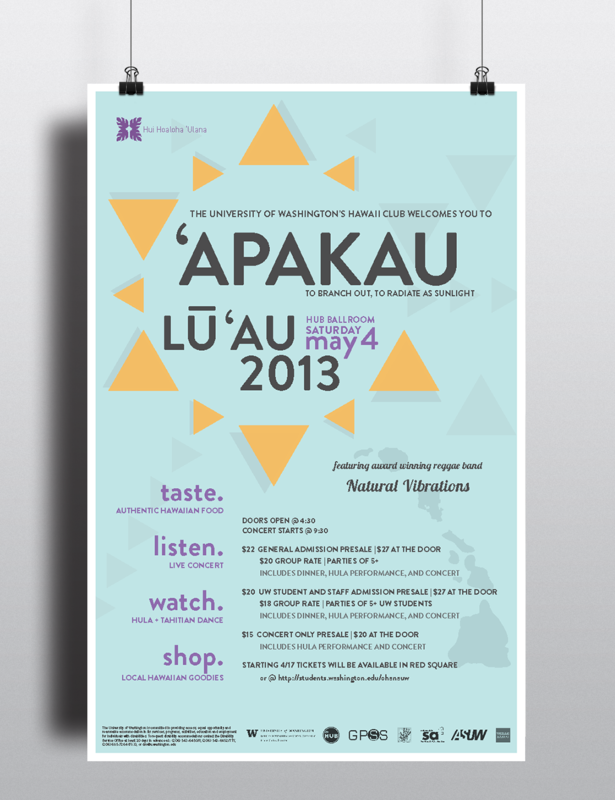 'Apakau: To branch out, to radiate as sunlight.